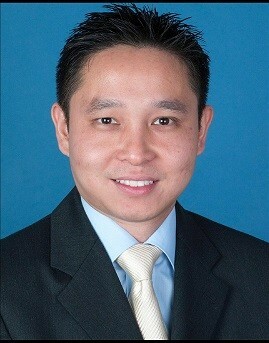 Dr. Ho-Yin Leung grew up in Southern California where he attended Bishop Amat High School. Dr. Leung became a dentist to help people and a periodontist because he felt that was the best way he could help patients improve their smiles. He is a highly skilled and knowledgeable periodontist who believes in delivering the highest quality dental care to his patients. He is experienced in all phases of modern periodontal therapy and dental implant placement, using advanced techniques and materials. Dr. Leung is married and enjoys spending time with his family. Dr. Leung pursued the highest levels of clinical and research training in periodontics. He completed training in Periodontics and Implant Surgery at the UCLA School of Dentistry where he completed several years of post-doctoral education in gum disease and dental implants. Dr. Leung received his Doctorate in Dental Surgery at UCLA School of Dentistry, his Master of Science in Biological Sciences at University of California, San Diego. Dr. Ho-Yin Leung, M.S., D.D.S.